The Reserve Bank of India is the apex bank and the monetary authority, which regulates the banking system of the country. It is the banker’s bank, it governs all the banks of the country, like cooperative banks, commercial banks and development banks. The commercial bank includes public sector banks, private sector bank, foreign bank, regional rural bank, local area banks, etc. Before 1969, except eight banks (SBI and seven associate banks), all the banks in India were private sector banks after which 14 commercial banks got nationalised in July 1969 and 6 in 1980. Further, in the year 1993, Liberalisation policy is introduced, after which private banks came into the picture. Nowadays both the categories of banks are doing good in the sector by providing pronounced facilities and services to their customers. But, tough competition can be seen between the public sector and private sector banks. So, here we have discussed the differences between Public Sector and Private Sector Banks. Meaning Public Sector Banks are the banks whose complete or maximum ownership lies with the government. Private Sector Banks refers to the banks whose majority of stake is held by the individuals and corporations. Job security Always present Purely based on performance. Public Sector Banks are the banks whose more than 50% shareholding lies with the central or state government. These banks are listed on stock exchange. In the Indian Banking System, PSB’s are the largest category of banks and emanated before independence. Over 70% of the market share in the Indian Banking sector is dominated by the public sector banks. These banks are broadly classified into two groups, i.e. Nationalised Bank and State Bank and its associates. There are 27 public sector banks in India, which differ in their size. Of these, there are total 19 nationalised banks in India, while 8 State Bank of India Associates. Almost all PSB’s share same business model, organisational structure and human resource policies. Hence, competition can be seen among these banks, in the market segment they cater. Banks whose greater part of the equity is held by private shareholders and entities rather than government is known as private sector banks. After most of the banks had got nationalised in the two tranches, but those non-nationalised banks carried on their operations, known as Old Generation Private Sector Banks. Further, when the liberalisation policy was coined in India, the banks which got a license like HDFC bank, ICICI bank, Axis bank, etc. are considered as New Generation Private Sector Banks. Post liberalisation, the banking sector in India has taken a drastic change due to the emergence of private sector banks, as their presence has constantly been increasing, offering a diverse range of products and services to their customers. They posed a stiff competition in the economy. Public Sector Banks are the banks, whose maximum shareholding is with the government. On the other hand, Private Sector Banks are the one whose maximum shareholding is with individuals and institutions. At present, there are 27 public sector banks in India, whereas there are 22 private sector banks and four local area private banks. Public Sector banks dominate the Indian banking system, by the total market share of 72.9%, which is followed by Private sector banks, by 19.7%. 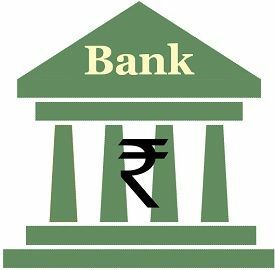 Public sector banks are established since long, while private sector banks emerged a few decades ago, and so the customer base of public sector banks is greater than the private ones. Transparency in terms of interest rate policies can be seen in the public sector. The interest rate on deposits offered by the public sector banks to its customers is slightly higher than the private sector banks. When it comes to promotion of employees, public sector banks consider seniority as a base. Conversely, merit is the basis of private sector banks, to promote employees. If we talk about growth opportunities in a public sector banks is quite slow in comparison to a private sector bank. Job security is always present in a public sector bank, but private sector bank job is secure only when the performance is good because performance is everything in a private sector. Along with job security, one more pro, of a public sector bank is the after retirement benefit, i.e. pension. On the contrary, pension scheme is not provided by private sector banks to its employees. However, other retirement benefits like gratuity, etc. are offered by the bank. Whether, you want to invest your money or you want to make a career in banking sector, due to the ruthless competition, people have to think more than 100 times, before coming down to any one of the two. However, every individual has certain priorities, and one can easily choose between the two, by scheduling down their preferences and going for the one, that suits best.